PLAYdifferently presents a techno filled night of music at Fabrik Madrid with the sounds of ambassadors Fabio Florido, Hito, Matador, Nicole Moudaber and Richie Hawtin. Cesar Almena, Gaiser, Lee K, Nastia and Nuke also join the line up performing on MODEL 1. 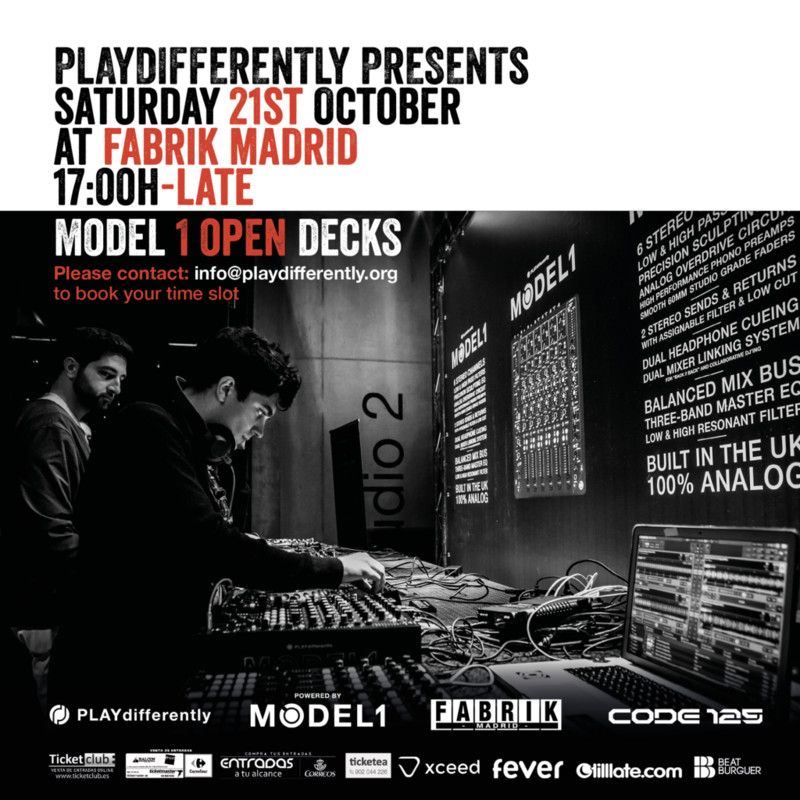 This event also features our exclusive open decks where attendees are invited to test MODEL 1 in a club environment. If you have a ticket to the show and are interested in testing out MODEL 1 email info@playdifferently.org.